In a campaign reminiscent of 2010’s MINI Getaway in Stockholm, Buick has launched a augmented reality high and seek game across China to promote the 2013 Encore luxury crossover. Buick has a long history in China, beginning in the early part of the 20th century as a car of choice for the country’s influential citizens. Buick was also the chosen brand when GM began regular production at its Shanghai GM joint venture in 1999. In 2011, GM sold it’s 3 millionth Buick since 1999, with over a million of those being sold in 2010 alone. 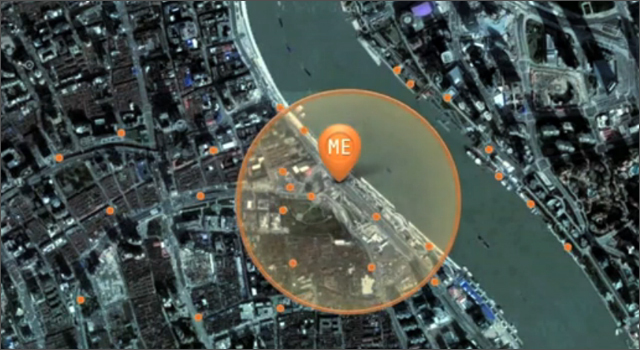 For the Encore Hide & Seek game, Buick hid virtual cars in 16 cities across China. Players downloaded the location-based game, showing the general location of the car in that city. After arriving at the location, players used the augmented reality feature to try to spot the virtual car on the street. Once found, the player had to hide the car at a location. The player that managed to hide the virtual car for the longest over the 7 day game period won the actual 1013 Buick Encore.